Big Fish is pleased to announce that Fairway Solitaire™ is back, and it's bigger and better than ever! The much-anticipated sequel and one of the most exciting and addictive card games available includes solitaire hands dealt on more than 350 hand-crafted golf holes, 4 mini games, 37 trophies, a golf shop, golf announcers, hazard cards, and one SERIOUSLY ticked off gopher! "… an incredibly awesome puzzle game masquerading as solitaire." 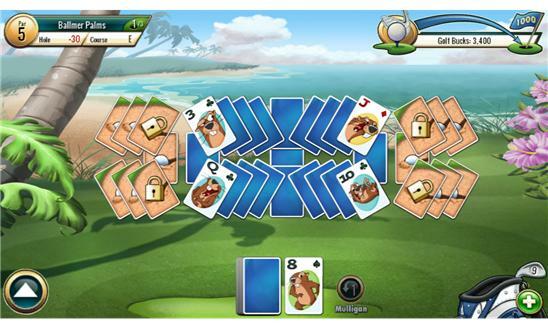 - Penny Arcade "It might look like a straightforward card game on the surface but there's much more to Fairway Solitaire thanks to its assured, inventive design. It's a hugely enjoyable, supremely polished strategic deck shuffler that should suit puzzle fans to a tee." PocketGamer: 8/10 Follow this hilariously sarcastic story of the gopher and his seething disdain and desire to put all golfers in their place! From beachside courses where palm trees sway, to the hustle and bustle of illuminated city courses, keep your eye on the prize because there is nowhere this gopher won’t follow. Score the best runs by clearing the card deck using the least amount of moves, and don’t forget about those mulligans! Whether scoring a double bogey or 3 under par, this hit will have you laughing so loud you’ll forget to be quiet on the golf course! ✓ Bright scenery and captivating artwork bring the classic to life! ✓ Delightful commentary and appealing sounds enhance game play ✓ Fill up your golf meter to earn helpful golf bucks ✓ Find Iron cards on the green to add to your golf bag ✓ Watch out for water, wedge, and rough cards that test your skills! ✓ Use your golf bucks for one iron, or fill your entire bag! 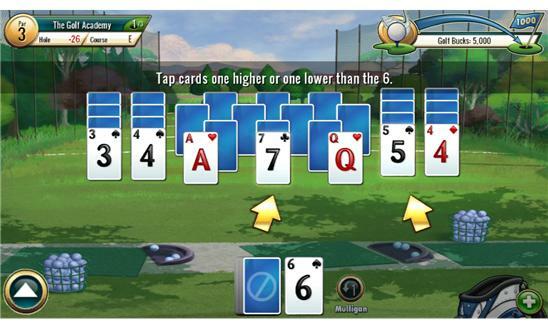 ✓ Wild Shot cards can either make or break a terrific golf game!